Shenon and Sabato missed that the Mexican Federal Security Directorate (DFS) immediately and exhaustively interrogated Silvia Duran at the request of the CIA. The very night of the assassination, Chief of Station Win Scott asked CIA asset Gustavo Díaz-Ordaz (LITEMPO-2), outgoing Interior Secretary and incoming President of Mexico, to hold Duran “incommunicado until she gives all details of Oswald” (NARA 104-10422-10090). Langley allowed the Station to “provide questions to the Mexican interrogators” (NARA 104-10102-10145). On the other hand, the affair with Oswald was a slander by a cousin of Duran´s husband, the well-known anti-Communist Mexican writer Elena Garro. It was reported by CIA contract agent June Cobb (AMUPAS-1), who was renting a room from Garro, but the Legal Attaché (FBI) Nathan Ferris rightly dismissed it after having interviewed Garro and her daughter twice in November 1964. They simply “failed to substantiate the allegations” (NARA 104-10007-10043). On a related 1965-CIA memo (NARA 104-10404-10320), the Deputy Chief of Station, Alan White, wrote down: “I don’t know what FBI did in November 64, but the Garros have been talking about this for a long time and she is said to be extremely bright.” Scott ruled out White’s concern with a lapidary remark: “She is also nuts.” Apart from Cobb, Garro drove other nuts as well. Charles W. Thomas, a political officer at the U.S. Embassy, raised the fake story with the Secretary of State William Rogers in 1969. Philip Shenon resorted to it in A Cruel and Shocking Act (Henry Holt and Co., 2013). Anyway, a slander never becomes a fact by mere repetition. 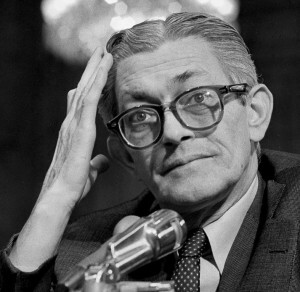 Garro refused to appear before the House of Representatives Select Committee on Assassinations (HSCA), while Duran accepted and was thoroughly interviewed by an HSCA panel in 1978. She was adamant that her one and only encounter with Oswald took place at the Cuban consulate on September 27, 1963. As consular clerk, she provided nothing but the standard service related to his application for an in-transit visa to go on to the Soviet Union. 1) Friday, September 27, 16:00 hours. The Soviet Consulate received a call from the Cuban Consulate. Duran said she had there a U.S. citizen who had requested a transit visa to Cuba because he is going to the USSR. 4) Tuesday, October 1, 10:31 hours. A man outside (MO) called the Soviet Military Attaché Office speaking in broken Russian: “Hello, I was at your place last Saturday and talked to your Consul (…) I wanted to ask you if there is anything new.” He was given the phone number 15-60-55. 5) Tuesday, October 1, 10:35 hours. MO said in broken Russian: “Hello, this LEE OSWALD speaking. I was at your place last Saturday and spoke to a Consul (…) but I don’t remember the name… A Soviet replied: Kostikov. He is dark? MO: Yes. My name is OSWALD. SOVIET: Just a minute. I’ll find out (…) Nothing has been received as yet. MO: And what… (SOVIET hangs up). Oswald was fluent in Russian. His own wife Marina said, “he had a pretty good Russian tongue, and she thought at first he was a Baltic Russian.” (NARA 157-10014.10003). After giving on Saturday a curious statement about the Cuban Embassy having his address, which suggests a safe house of the Cuban Intelligence Service (CuIS), the imposter eventually placed on record both the name Oswald and a meeting with Valeriy Kostikov, a KGB officer reported by the CIA to the Warren Commission as “believed to work” for Department XIII, responsible of executive action, including assassination, although neither the CIA nor the FBI could find “any information to fully support [it].” (NARA 124-10369-10063). 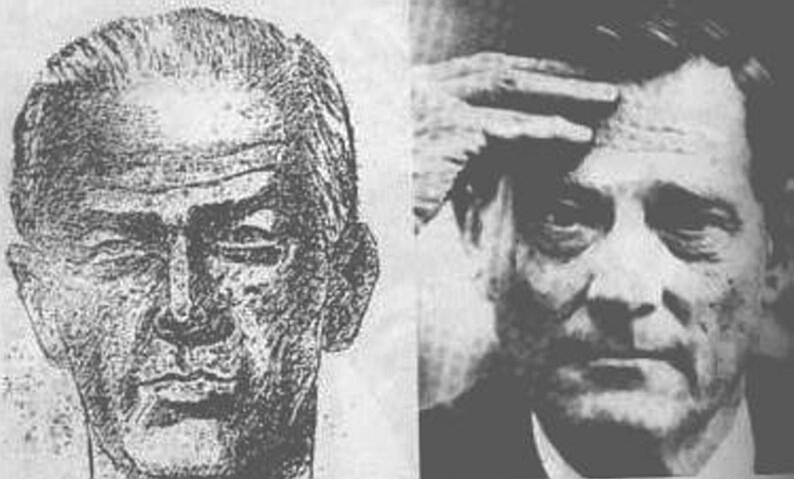 Oswald’s impersonation in Mexico City is a key pre-assassination fact. 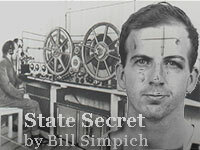 It reinforces the hypothesis of CIA insiders forging Oswald’s linkages to the CuIS and the KGB. Thereupon, framing him up in Dallas and covering the deed up would be part of the natural course of events. 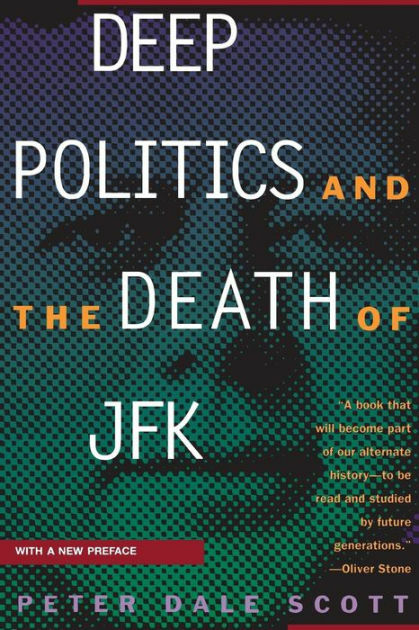 Later this year — unless President Trump intervenes — the American people will get access to the last of thousands of secret government files about a turning point in the nation’s history: the 1963 assassination of President John F. Kennedy. We know we speak for an army of historians, political scientists, journalists and concerned citizens who have studied the JFK assassination when we say that it is time for the federal government to release everything in the custody of the Archives. This is the moment for full transparency about a seminal event that cost many Americans’ trust in their government. The 1992 law has already brought some welcome transparency. It resulted in the release of millions of pages of documents regarding the assassination, including the 441 files from the CIA and FBI made public Monday. But about 3,150 other documents remain totally under seal, along with tens of thousands of pages that have been only partially unsealed because intelligence and law-enforcement agencies opposed their release in the 1990s. Those are the documents that Trump could try to keep secret. And sadly, he appears to be under pressure to do so. Both of us have written books about the assassination and have a keen interest in what the president decides. 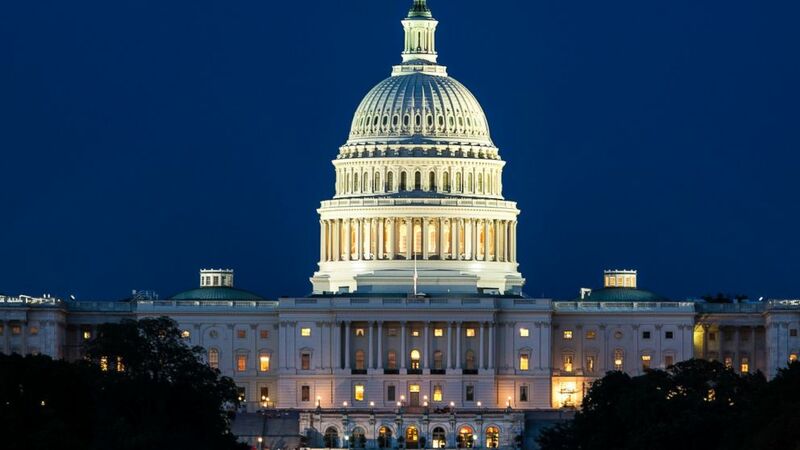 Congressional and other government officials have warned us in confidence in recent weeks that at least two federal agencies will make formal appeals to the White House to block the release of some of the files. Which agencies? Which files? The officials would not say, but it is already known that the CIA, the FBI and the Justice Department prepared most of the still-secret documents. If they’re the agencies objecting, is the president prepared to overrule them in the name of openness? When it comes to JFK’s murder, what secret can be worth keeping nearly 54 years after those shots rang out in Dealey Plaza? In the 1990s, intelligence agencies might have been able to argue legitimately that some documents needed to stay under seal because they revealed the identity of American spies and law-enforcement informants who were still living and could be in danger if their cover were blown. But decades later, logic suggests that almost all those people are now dead; if a handful are still alive, provisions can be made to protect them, if necessary. What lingers today is the widely held belief among Americans that the truth about a landmark moment in the nation’s history is still being hidden. Almost as soon as the Warren Commission issued its September 1964 findings that Lee Harvey Oswald killed Kennedy and there was no evidence of a conspiracy, it became apparent that the investigation led by Chief Justice Earl Warren was seriously flawed. In large part, this was because the CIA, the FBI and other agencies had withheld evidence from the commission and its investigative staff, apparently to cover up their own bungling before the assassination. 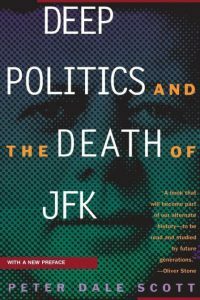 The evidence did not necessarily point to a conspiracy in Kennedy’s death — at least not the sort of dark, tangled plot imagined by many theorists. But the commission should have dug more deeply into Oswald’s mysterious six-day trip to Mexico City two months before the assassination, when he met with high-level Soviet and Cuban embassy personnel. While 21st-century forensic science demonstrates that Oswald was almost certainly the lone gunman in Dallas, it’s possible that people at home or abroad knew he was plotting to kill Kennedy and might have encouraged him — by definition, possible co-conspirators. Or at a minimum, they did not try to stop Oswald. By the late 1960s, opinion polls showed that, largely due to the Warren Commission’s shortcomings, most Americans had rejected the official story. What happened in the decades since is both understandable and toxic. Much of the public came to assume that if their government would not tell the truth about the murder of the president, it could not be expected to be honest about anything else — for example, human-caused climate change or the safety of childhood vaccines. Trump, no stranger to promoting conspiracy theories, has a chance to show that he is committed to resolving some of the biggest conspiracy theories in American politics. We hope he welcomes the opportunity. If the documents in the National Archives are released in full, the president will receive credit for having struck a blow for transparency and, at least on this issue, attempting to show that the government no longer has anything to hide. 20 April, 2017 | It appears to me that Antonio Veciana has, once again, been less than forthcoming in connection with the Kennedy assassination. I will try to explain why but, first, I want to note that in 1978 I believed Veciana’s story based entirely on Gaeton Fonzi’s representation of the story and his work confirming many of the details. My crediting his story about Phillips and Oswald was based on the credibility of the rest of his story as established by Gaeton. I heard Veciana speak in Bethesda and also got to spend some time with him and Eddy Lopez outside of the conference. I still found Veciana to be essentially credible. So, I picked up the book with great anticipation to learn more about what he knows. I was disappointed. I was very impressed with some of the careful recalling and recording of detail in the book about some of Veciana’s activities. The detail adds to Veciana’s general credibility. That holds true through the first six chapters, and, in part, the last three. Some of those details give possible further confirmation of an association with Phillips. In particular, in this regard, I note the tradecraft instructions at the end of Chapter 4 and his instruction on propaganda at the beginning of Chapter 5. Some of it could have come out of Psychological Warfare, the book written by Paul Linebarger whom we know provided training to CIA officers, very likely including Phillips. The details about how Phillips trained him, however, would have carried more weight with me had they come earlier in time. The late aspect, though, does not cause me to discredit them because, having met Phillips and studied his career, what Veciana says about this rings very true and comports with what I know of Phillips whom I investigated and interviewed repeatedly in 1978. So I do credit it as further proof of his association with Phillips. As I mentioned, I was impressed in many places in the book with the wealth of recalled and reported detail that Veciana provides about his activities. This experience of that openness made Chapter 7 even more of a disappointment to me. The story of Phillips and Oswald meeting in Dallas has almost no detail. The only detail provided is from the story that Wynne Johnson recently came forward with. There is more detail in that reportage than there is in Veciana’s own recollections. Up through the end of Chapter 6, Veciana reports operations undertaken in detail with names, places, plans, etc. But that changes in Chapter 7. That chapter starts with the founding of Alpha 66 after Veciana’s flight to Miami. His accounting of Phillips’s motivation for Alpha 66 rings true and credible with what I know. I like the observation that DRE had the earmarks of a Phillips operation and the frank admission that he did not know whether Phillips worked with them. When we get to the Phillips and Oswald in Dallas story, though, things get vague, very vague. For example, he never tells us why Phillips sent for him to come to Dallas in September of 1963. I would find it very hard to believe that he does not remember what that meeting was about. I would think it would be seared into his memory because of who he met and the events occurring just two months after the meeting. So, why didn’t he tell us in the book what the meeting was about. Veciana reports that Phillips ditched Oswald so he and Veciana could talk in a coffee shop. I am sure Phillips didn’t call Veciana to Dallas because he missed him and wanted to know how his kids were doing. What did they discuss in that coffee shop? Why does Veciana not tell us what the assignment or operation was that Phillips had to see him about? And within a couple of paragraphs, Veciana can say that he didn’t remember Wynne Johnson at all and his girlfriend only vaguely but he was absolutely certain of Oswald because Bishop had taught him to notice and remember faces. I am sure that he also taught him about situational awareness and the need to be very careful about chance encounters with strangers in the vicinity of meetings with agents – indeed his descriptions of his training and activities in Cuba would indicate he was well aware of that. How could he forget such an encounter with Wynne and his girlfriend? Veciana, in the first and last parts of his book, stresses the importance placed on tradecraft by Phillips. This, too, comports with what is known about Phillips from other credible sources. Indeed, in describing the Castro assassination attempt Veciana describes how irate Phillips was over a slip in tradecraft when Veciana used Cuban idiom while meeting another agent in Santiago. But in Dallas, Phillips evidently allowed two assets being utilized in unrelated operations meet each other? That is totally out of character with what is known of Phillips and what Veciana testifies to in every other place in his book. You would think, given his training and how well he says he learned it, that Veciana would have been upset by Phillips exposing their association to someone that Veciana didn’t know. This is, at best, an anomaly in Veciana’s story. (I am, of course, assuming the “unrelated operation.” If it was, perchance, that it was only one operation, the anomaly would not be so great.) He makes no attempt to address the problem although he should. Many, unfortunately, will see this point alone as being enough to discredit the story. I do not, however, think that it totally discredits the story. To me it is more likely an indication that Veciana is still not telling the whole story. If Phillips was using Oswald and Veciana in the same, or related, operations then the meeting in Dallas may not have been a serious tradecraft failure. But if it was not a tradecraft violation, then what were the operations? Although he doesn’t raise the possibility at all in his book, Veciana was pretty adamant when he spoke in Bethesda in 2014 about believing that Phillips was meeting with Oswald to send him to Mexico City. (See, https://aarclibrary.org/antonio-veciana-admissions-and-revelations/) I believe that is probably true. And I have to wonder if there wasn’t a role in that Mexico City work for Mr. Veciana? This suspicion is further reinforced by Veciana’s story about meeting Phillips again after the assassination and discussing a possible effort to bribe Veciana’s cousin, Guillermo Ruiz, who worked for the DGI in Mexico City. 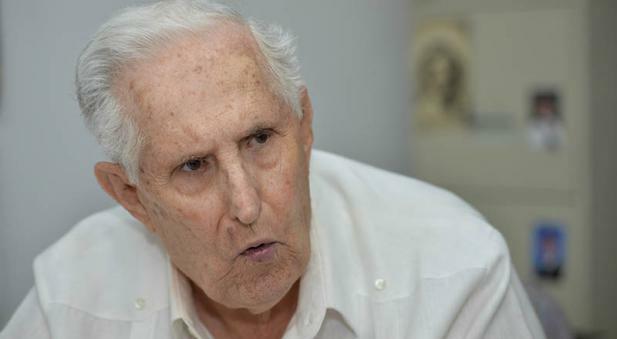 According to Veciana’s story, Phillips approached him in early 1964 asking him to bribe his cousin to say that Cuba was involved in the Kennedy assassination. Later, Phillips was very jumpy about having asked him to do that and told him to forget that it had happened. More work needs to be done on Ruiz’s relationship with the CIA. But if the Phillips led effort to generate anti-Castro propaganda after the assassination ended with the Alvarado debacle, it makes Veciana’s placing the approach about Ruiz in early 1964 somewhat implausible to me, especially in light of what he reports about Phillips reaction when Veciana brought the matter up again. If, however, the solicitation to bribe Ruiz occurred before the assassination and the reaction after, then Phillips’s reported reaction makes a lot more sense. Veciana changing the date of the plan to use him to solicit Ruiz also could explain most of the anomalies of his lack of detailed memory about the Dallas meeting. But if that is the case, then being fully forthcoming would possibly require Veciana to admit to having a reason to believe that an action was being mounted against Kennedy in advance of the assassination. While it is possible, perhaps even likely, that Phillips could have been running an operation involving both Oswald and Veciana that did not disclose the assassination to either of them in advance, the possible inference remains that they both were witting of the objective. Given Phillips’s reputation for tradecraft, I think a more likely scenario would have been an approach to Ruiz in advance by Veciana to see if he could be recruited or subverted without Veciana knowing the ultimate use in connection with post-assassination propaganda. Similarly, it is quite easy to see how Oswald could be used in a dangle in Mexico City without being witting about any possible involvement in the assassination. Indeed, I can see a remote possibility that even Phillips could have been running a dangle and an attempted recruitment without knowing that in a couple months his danglee would be an accused assassin. In Veciana’s presentation at Bethesda he says the Dallas encounter happened because he had arrived 15 minutes early at the location. Nothing is mentioned about this in the book. Again, given what he says about Phillips dressing him down severely when he made tradecraft mistakes, how does this violation of tradecraft go uncommented upon if it happened that way? In Bethesda, Veciana went on to say: “Bishop confirmed to me in a conversation that Oswald had traveled to Mexico on Bishop’s orders. Bishop tricked Oswald into taking that trip to secure a visa from the Cuban Consulate though Bishop knew the authorities there would never grant Oswald such a visa. The reason for this trip was to create a trail that would link Oswald to Fidel Castro and help focus the blame of the planned assassination of President Kennedy on Castro.” That explosive revelation is not repeated in the book in spite of it being in his prepared statement at Bethesda. Why has he backed off of this assertion? Indeed, in the book he contradicts this and asserts that he never discussed with Phillips having seen him with Oswald except for the two subsequent Ruiz conversations. I regret that when I met with him in Bethesda, I did not ask him when this confirmatory conversation took place. Jim DiEugenio, however, did ask Veciana when this conversation occurred in the question and answer period after Veciana’s presentation. It was the first question posed to Mr. Veciana. Mr. Veciana provides a long, fairly rambling answer lasting over ten minutes. In that answer he states that Phillips had asked him at some point before the assassination, but shortly after Castro made the statement about assassination at the Brazilian Embassy, whether someone traveling to the Cuban Embassy in Mexico City could receive a visa to travel to Cuba the same day. What he actually says, through the translator, is: “This is the key moment here. Prior to the assassination Phillips asks Mr. Veciana directly, and this is post Fidel Castro’s statement at the Brazilian Embassy, if one were to go to the Cuban Embassy in Mexico, would one be able to get a visa to travel to Mexico [sic] to which the response was absolutely not.” Veciana explained that he was so sure of his answer because he had personal experience in needing a visa and had known a woman who had tried to do that and was told that it would take a minimum of four to six weeks for a visa to be issued after an application. Veciana explains that Phillips, having obtained this information from him, was able to use that knowledge to be able to use the visa application as a pretext for getting Oswald to travel to Cuba. Veciana thinks that Phillips having told Oswald that he could get an instantaneous visa was why Oswald become so upset in the Cuban Consulate when he was unable to obtain a visa. Mr. Veciana wraps up his answer by telling Mr. DiEugenio that he hopes he has answered his question. But he didn’t. 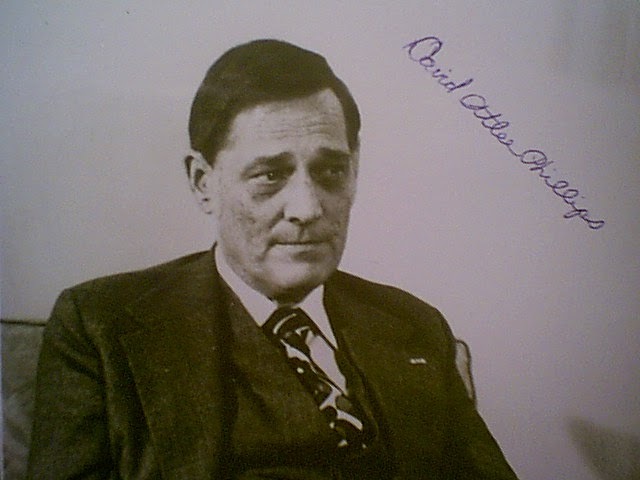 He never explicitly states when a conversation occurred in which Phillips “confirmed to me in a conversation that Oswald had traveled to Mexico on Bishop’s order….” One conversation – one that is not reported in the book – is stated to have occurred prior to the assassination but after Castro’s outburst at the Brazilian Embassy. A second conversation is described as having occurred immediately after the assassination. Veciana, at least as translated that day, does not indicate at which of these two conversations Phillips confirmed that Oswald was traveling under his orders. One possible inference from the description of the first meeting in the overall context of Veciana’s statement is that this is not something Phillips actually told him, but an inference he is drawing from both conversations. This, also, is not clearly stated and the more direct statement in Veciana’s written statement is not withdrawn. But there is another problem presented here as well. Veciana has been vague on when the meeting in Dallas occurred. He has, fairly consistently, said that it was in late August or early September, 1963. In the book, Veciana reports that Wynne Johnson believes the meeting occurred on September 7, 1963. Wynne is said to be pretty sure it was a weekend, probably a Saturday. Veciana adds that Wynne’s dating matches his recollection of the meeting being near the end of a week in either late August or early September. But Castro’s statement to David Harker at the Brazilian Embassy about the safety of U.S. leaders were not themselves safe if they were plotting against Cuban leaders was made on September 7, 1963. So, if the meeting in Dallas with Oswald occurred on that same day, the question arises as to whether the question from Phillips about visa availability was asked at the meeting in the coffee house? Or was there another meeting between Phillips and Veciana after Dallas but before Oswald obtained his visa to visit Mexico City ten days later in New Orleans where this question was asked? And why would David Phillips have to ask Veciana about visa procedures at the Cuban Embassy? Is it possible that Phillips had Veciana in Dallas to promise Oswald that the fix was in with his cousin at the Cuban Consulate to get Oswald a visa? Someone needs to ask Veciana these questions while he is still with us. I regret that I did not do so when I met him in Bethesda, but, as I said, it is the detail in the book about the other operations he was involved in that raised these questions in my mind. Now that he has come forward on some of what he knows, he can supply the rest if he is willing. At least tell us what his meeting in Dallas with Phillips in September 1963 was about. What operations were you working on then for Mr. Phillips? Who were your associates? What about the Dallas Alpha 66 group? Did Phillips confirm that he’d sent Oswald to Mexico City to lay the trail to Castro? When did that conversation occur? If he didn’t, why did you lie about it in Bethesda? And, finally, Mr. Veciana holds a very unique status as being one of very, very few people officially listed as both an agent of CIA and military intelligence. How did he come about having that unique status? 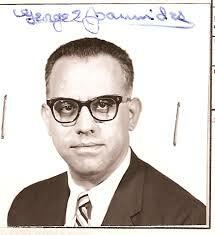 What work was he doing in 1963 for U.S. military intelligence? What activities did he undertake for them? Who were his contacts and case officers? Why doesn’t he say anything about this in his book? Bottom line: While I don’t find that these problems totally discredit the basic story he tells about the Phillips/Oswald meeting, they do raise questions about his credibility. Those questions, in my opinion, however, are more about whether he still knows more than he is telling than about whether he is telling the truth at all.